I used to read Proverbs 31 and find excitement, as well as anxiety, because I didn’t know if I would live up to those standards or be the kind of wife God has called me to be. This wife is sometimes flawed, busy, multitasking, and definitely lacking the genes and desire it takes to be Martha Stewart. However, the closer I get to God, the more I realize that He truly designed us so intricately with so many little personality details. We are so very unique, and being a Proverbs wife can fit into my Hollywood life. 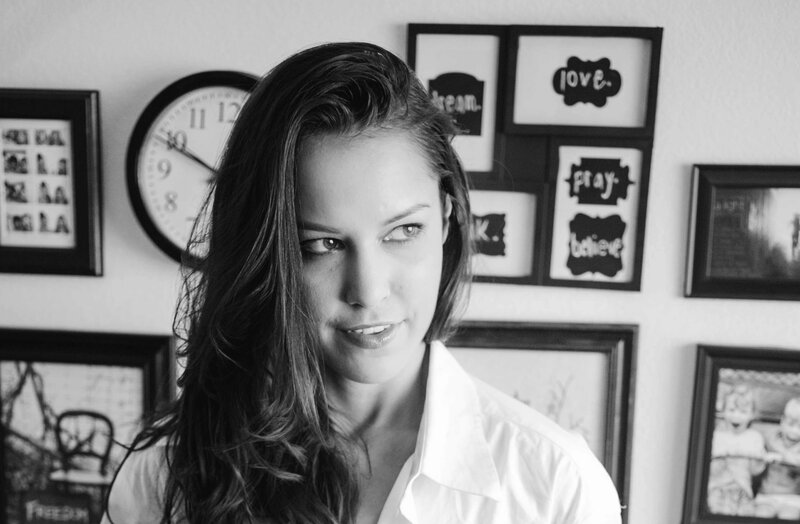 I am a young actress, model, and writer living in Los Angeles who can still fit into the mold of what women were made to be. I am Creative. Free spirited. Independent. Sometimes organized. Sometimes messy. Passionate. Never forget that if you feel out of the ordinary, it’s because you are. You were extraordinarily made. You are unique. Our homes don’t have to fit into a cookie cutter photo in “Better Homes” magazine. Your home, no matter what size, should reflect your own unique personality. This is one of the many reasons why I love wall collages. They are my beautiful mess. 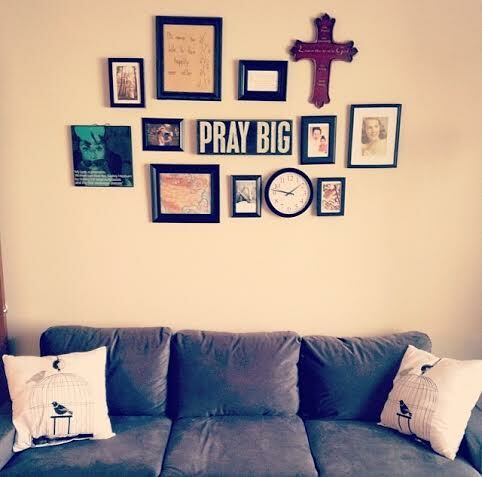 A wall collage is a simple, affordable way to fill a space in your home with your personality! One of my favorite things to do is to frame beautiful cards that loved ones have given me. They become the most personal artwork. Add quotes, photos, clocks, maps, whatever feels like you. Wall collages are a beautiful way to reflect who you are for all of your guests to view. Our wall collage is just beginning, and the fun part is watching it grow and expand as we add to it! Size and money are no object. Decorate your dorm room, apartment, or home and fill it with personal items that fill your soul with warmth. Remember that you don’t have to maintain an immaculate home at all times in order to be an amazing young woman. God didn’t design you to be a robot. Be a beautiful mess. Be perfectly imperfect. Next postWho’s Finger Prints Are On Your Blueprint? I can remember reading the Proverbs 31 woman and feeling overwhelmed. How can anyone live up to all of those things? Then our Pastor taught on this passage and said we needed to remember this was not all in one day or even one week. This was a lifetime of achievement for this woman. Now, I can look at her and know that I aspire to have all of those virtues in my life, even if I don’t have them right now. I can pin point the areas that I am weak and strengthen those rather than being overwhelmed about not “measuring up.” Thanks for the beautiful reminder!